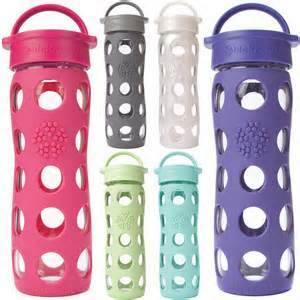 Which Reusable Water Bottle for You? Reusable water bottles save you money and are kinder to the environment – nothing to throw away and no need to continually buy bottles of water. But what kind of reusable bottle should you buy? Plastic, metal, or glass? First of all, are plastic bottles safe? Did you know commercial bottled water has an expiration date? Toxic chemicals in the plastic bottle leach into the water over time. They leach more quickly when the bottle is left out in the sun, or is reused and washed with hot water. When you drink the water from these bottles, you also drink the leached chemicals. The plastic bottles in which water and soda are sold are PET bottles (resin #1) and they’re not meant to be reused due to the possibility of bacterial buildup. This is aside from the danger of leaching chemicals. It’s best to just recycle rather than reuse them. 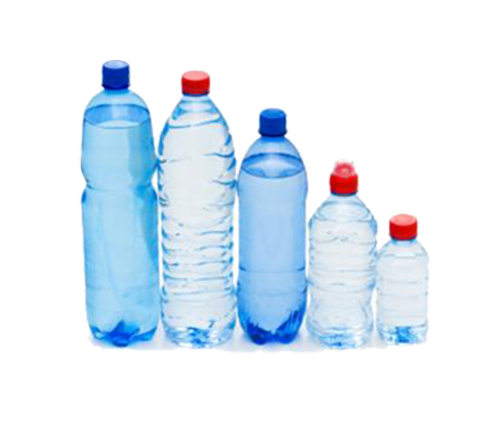 Bottles made of polyethylene (resins #2 and 4) and polypropylene (resin #5) do not have long-term durability. They are not dishwasher safe. The harder polycarbonate plastics (resins #3, 6, and 7) contain a hormone disrupter called Bisphenol A (BPA). Some manufacturers have responded to concerns about BPA and have replaced it with Bisphenol S (BPS). However, BPS has also been identified as a hormone disrupter. Reusable plastic water bottles can develop unpleasant tastes or odors over time. They can be cleaned with a few drops each of vinegar and dish soap mixed with a cup of warm water. So what about metal? They’re lightweight, they keep drinks cooler longer, and they tend not to have residual odors the way plastic bottles do. However, aluminum is reactive and requires a liner that could leach BPA or other chemicals. Lined aluminum bottles are not recyclable once they’re no longer useful to you. 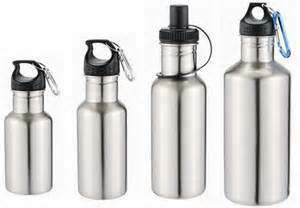 Stainless steel bottles perform best because they’re non-reactive so no lining is necessary. Therefore, no harmful chemicals will leach into your drink. These bottles are durable, and they’re recyclable after many years of use. Then there’s glass. It’s heavier than other options, but it’s easy to clean and won’t absorb liquid dyes or flavors. Many come with an outer sleeve to prevent breakage. Aside from safety, what’s most important to you? Portability? Durability? Style? Size? No leakage so you can throw it in a bag? Consider your needs, and find the best bottle for you. Remember, when you use a reusable water bottle, you help reduce the use of disposable ones. Using a reusable water bottle instead of buying bottled water saves you money over the long term. In fact, bottled water can cost up to 500 times as much per gallon as tap water. • One plastic bottle can take hundreds of years to decompose. • The production of one plastic bottle uses energy, emits toxins into the air, and uses more water to produce than is actually put into the bottle for drinking. • The average American uses and discards 167 bottles of water a year.